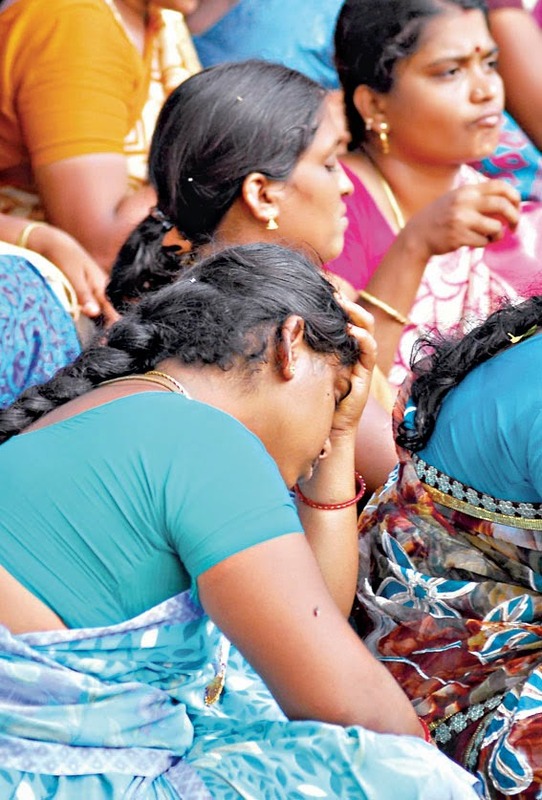 CHENNAI: Protesting the weightage system for evaluation put in place by the Tamil Nadu Teachers Recruitment Board, nearly 1,000 aspirants staged a protest in the city on Monday, which witnessed dramatic scenes when four of them consumed pesticides in an attempt to commit suicide. The four, Chelladurai R from Salem, Kabilan C from Chennai, Karthik from Thanjavur and Santhosh Kumar from Seerkazhi, were rushed to the Rajiv Gandhi Government General Hospital (RGGGH), where they were subsequently declared stable and out of danger, according to an hospital official. As per a government order (GO 71) issued in June 2013, the evaluation method was changed to award 40 per cent weightage to Plus Two, graduation and B.Ed marks, apart from Teachers’ Eligibility Test (TET) scores. The TET cut-off mark was also brought down from 90 to 82. According to the protesters, the new system would give young applicants, who have not scored high marks in the TET, an edge over their older counterparts with higher TET marks. With the online counselling to begin on September 3, they were worried that there is not much time left to address their concern. “I am 41 years old. I completed my plus two, graduation and B.Ed long back when the evaluation was a lot less liberal. I have not been selected even with a score 95 in my TET, which is well above the announced cut-off whereas youngsters who got just 82 have got a call for recruitment just because of their marks in Plus Two or graduation. This non-uniform system of evaluation is unfair,” said Mahalakshmi B, a teacher from Thanjavur. The protesters first took out a procession from Rajaratnam Stadium to Langs Garden Road, to put forth their demands to the Chief Minister J Jayalalithaa. They alleged that the School Education Department secretary D Sabitha was indifferent to their concerns, which forced them to consume the poison to highlight the demand. Reacting to this, Sabitha denied that any of the representatives of the protesters had met her in this connection.